Building Operations Boca Raton | CSI International, Inc.
From our inception in 1989 CSI International, Inc. has been a customer focused and results demanding company. The main reason for our Quality Program is the creation of a quality craft that pays particular attention to customer’s expectations, involves every level of employee, continuously measures performance, and strives to continually improve. Inorder to achieve this our Quality Plan has as a base, a management plan, and a set of guidelines that are relayed to all facets of the organization to insure that we consistently reach or surpass our client’s expectations. 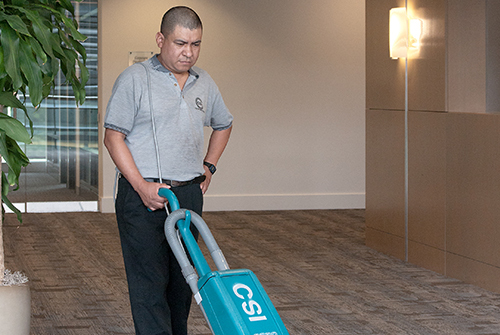 CSI’s upper management team has dedicated themselves to organize its Building Operations strategy and operations to be in line with our customer’s requirements, and to develop and sustain a way of life with full employee involvement. Quality for CSI is a challenge of continuous advancement, not just an observation platform. What that means is supervisors and management must communicate a set directive of Building Operations the line worker comprehends and has faith in. To achieve this goal CSI has established the position of Director of Corporate Quality and Training for the purposes of managing CSI’s QA Program and to pay close attention to the quality procedures throughout all segments of our company. This role communicates directly with the Chief Operating Officer and keeps a watchful eye on the implementation and adherence to our top levels for evaluating job performance, executing training programs and acknowledging and surpassing our client’s expectations. With these things in mind CSI has created the Eye on Quality program. This program’s objective is to far exceed traditional service quality levels for our customers. Our clients will get periodic quality reports via email or print copy. These inspection reports will provide a full work-site overview as well as visual and graphic-based reporting. As a bonus, our Eye on Quality program is supplemented by series of more conventional surveys and inspections to help our Quality Assurance Team determine customers’ management and their client’s satisfaction with the quality of our Building Operations. Every building has different requirements that demand we individualize a program that supports its culture. Guided by the stipulations and adjusted for your individual needs, inspections and surveys keep management in touch, supervision accountable, and employees up to date. The result is the achieving of service excellence for the client. CSI utilizes many traditional validation tools to ensure that we are consistently providing the Building Operations promised with the best quality. CSI takes an active function in recycling and waste decrease and will comply with its clients recycling procedures. We are accountable to develop, handle, and totally support the recognized Recycling Program of CSI and those of each of our customers in addition to our workers. Our responsibilities include: Corporate and Field Management, Site Supervisors and Supervisors: Stimulate the interest of our staff members in the value of ecological and recycling practices, Encourage involvement and promote a favorable attitude towards recycling, Serve as a liaison in between CSI and our clients, Assist our clients with the application of their recycling treatments, Abide by governmental regulations concerning the decrease, reuse, recycling and recovery of waste products. Business Employees: Take an active function by following the recycling treatments, Have a positive mindset towards waste reduction and recycling within your working area, Suggest or recommend methods of minimizing waste. At our Clients' center-- All CSI workers need to follow the facility's recycling program and the following steps: Usage different containers to collect recyclable papers, Gray brute with black liner is for collecting trash, Blue brute with clear liner is for collecting recycling paper, Use separate containers to gather recyclable documents, Collect cans, plastic and bottles in blue liners and position them in the commingle compactor, Collect shredded paper in clear liners and position it in the recycling compactor or container for proprietary info, Do not get rid of non reusable gloves in the trash containers, Recycle all packaging products for our cleansing items, Seek advice from your Supervisor or the Recycling Organizer of the facility for any extra info regarding the facility's recycling treatments. CSI REDUCES, RECYCLES, RECYCLES. CSI REDUCES: Collect cans, plastic and bottles in blue liners and put them in the commingle compactor, Usage separate containers for trash and recyclable products at your desk and central areas, Print double sided (conserves as much as 50%), Utilizes paperless payroll system to ease paper checks to assist minimize the overall ecological footprint of our organization, Print only when required, Proof reads files for errors prior to printing to avoid waste, Sends out e-mail memos to conserve paper, Avoids printing e-mails, Examines any paper copy storage, replace with a back- up hard disk for centralized storage, Uses email rather of corresponding by post, Switches equipment off completely at night and at weekends, Puts equipment on power save where possible, Purchases resilient devices, Has paper recycling stations next to copy machines and printers, Uses energy effective light bulbs (On average they consume 8% less energy than a basic bulb It lasts about 12 times longer), Flattens all cardboard boxes. REUSES: Recycles envelopes for internal flow, Reuses tidy side of used paper for internal printing, Converts scrap paper into post-it notes, Purchases sticky labels to cover old addresses and reuse envelopes externally, Purchases sticky labels to cover old addresses and reuse envelopes externally, Aims to use paper for more than one purpose, Recycles incoming packaging and boxes for outgoing deliveries, Eliminates plastic drink cups from the water cooler and use multiple-use mugs, Fixes furniture where possible or donate it to charity, Shreds low-quality paper and usage as packaging. RECYCLES: Recycles our dominant material (probably paper), Recycles corrugated cardboard, Recycles aluminum cans, plastic, glass, bottles and jars, and tin/steel food and beverage cans, throws caps and covers in the garbage, Recycles toner and inkjet cartridges, Recycles workplace furniture, Recycles batteries, Recycles our IT Hardware and cellphones.